So, I've been reading at all the success stories, and it looks great. However, when I read on the forums all I hear is "It didn't work for me." or "This happened, I always peel" etc. And it makes me doubt it again. I'm currently on a diet from a nutritionist, however that could take months, I want something that can also help from the outside. Some info: 17, male, Australia. 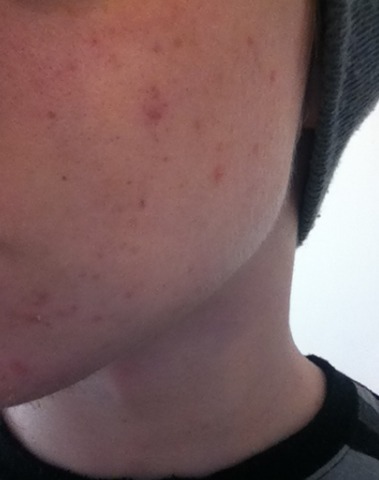 I'll post some pictures of my acne. 1. 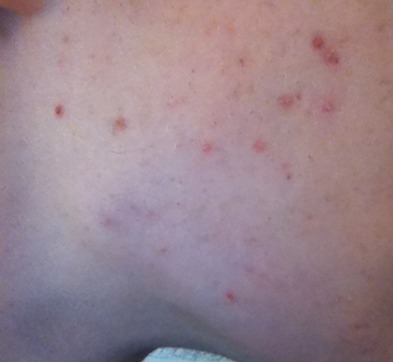 Clearisil, which I used when I only got 1 or 2 pimples every few months last year. 2. Duac which I got from my dermatologist, which I used for 4 weeks and I only had a few pimples then, hardly noticable. What are the chances it's going to work: does it usually work more then it doesn't? Should I try this regimen OR should I buy an over the counter acne product first OR visit a dermatologist? Thanks. I really want to know! Double post, can anyone answer my questions? don't do it. I used the stuff for 3 months and it discolored my skin so bad that I had to quit. When I went off of it, my skin had become so addicted to the stuff that I had a horrible breakout. Nothing cleared this breakout so I am currently on Accutane. Oh and guess what? 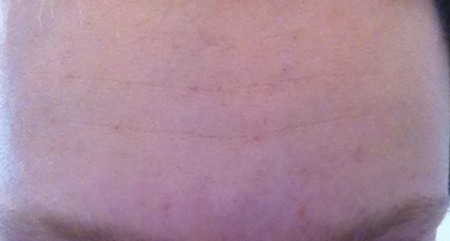 My skin is still discolored from it. Your skin really doesn't look bad don't take the risk. Skin discoloration can be a temporary side effect: redness when you start using it or discoloration when used in combination with PABA-containing sunscreens (but I think PABA's are removed from most sunscreens nowadays). I have never heard of permanent skin discoloration because of BP (definitely not in white-skinned people). Your skin will not become "addicted" to it, it oxygenates, there's no way bacteria can become resistant and come back with a vengeance when you stop using it. In fact, it's often used in combination with a (topical) antibiotic to avoid bacterial resistance. You'll have to use it until you "grow out of" acne, though, it's not a cure. Jekester, to answer your question: I think your acne is pretty mild, you could definitely benefit from BP. Personally, if I coach someone with acne that mild, I don't let them use as much BP as The Regimen prescribes, I let them use only as much as needed to get their acne under control, it's a matter of trial and error. Just build up slowly and be very gentle when washing your face and applying topicals, that's most important. Also, it doesn't have to take months before seeing results. 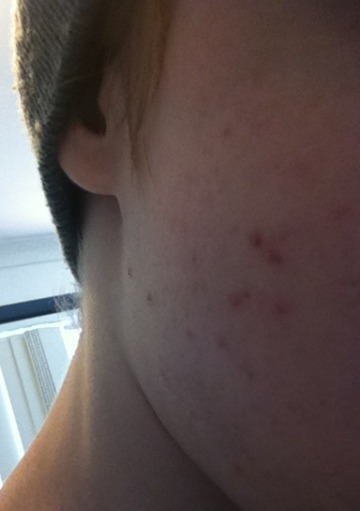 Several people I know (with mild acne) cleared up in less than a month (one of them even in a week). From my experience, BP is by far the best otc topical for acne, it should work in most cases. I've noticed that your acne is most prevalent in your shaving area. What are you using to shave? Have you tried different blades or a different shaving gel? Or using your cleanser as a shaving gel (works pretty good, as long as it lathers at least a little bit)? I've only started shaving this year, same time I got acne (hm ... ) but I just use an electric razor, nothing else. What should I use? And OK, so discolouration is possible, but it won't last forever? and I really want to try this regimen, as I am getting a bit fed up with the acne. Is there a certain way to maybe get coached during the process of the regimen? Thanks! I'm sorry you've had a bad experience with BP, but everything you just said is based on personal experience, it's not the norm. I've just had a look at your gallery images and some of your earlier posts. There's acne on all parts of your face, all areas show some discoloration. You've been on retin-A for months (after BP) and you've said that redness was already there before starting The Regimen, so how can you blame BP? I don't see it in any of your posts, except that it supposedly prolonged red marks. None of the people I know (and I see them eye to eye) suffer from discoloration. Like you, some only use it on certain parts of their face, and there's no difference in skin color. I have heard many people who were able to stop using BP, once they grew out of acne. Until then, yes, you'll have to use some form of medication in order to keep acne under control. I'm not saying that BP is for everyone, nothing is. And what makes you think I'm biased? I honestly don't care what people use, as long as it helps them. Scaring people away from a proven treatment, based on one case (your own), isn't helpful nor does it make sense. You're on Accutane, right? Would you stop using it after reading some of the negative experiences with it? Those are first-hand experiences as well and their issues go beyond a dry patch of skin. 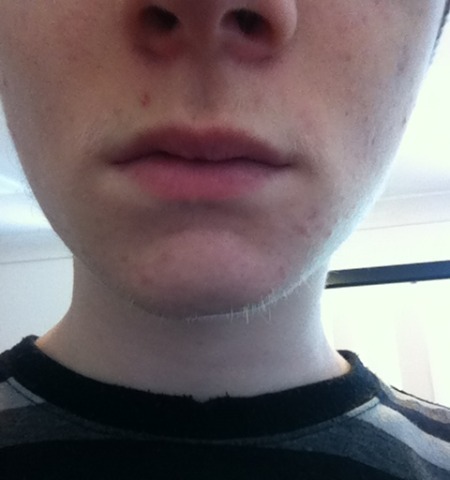 Have a look at the guide for shaving and the shaving forum for tips on what to use. Yes, discoloration is temporary, it won't last forever. As for the coaching: this is a very helpful forum with many BP users, if you have any questions or concerns, just post them here, and I'm sure some of them will weigh in, if they can help you. If not, you can always shoot me a PM. Thanks heaps, I will look at everything and if what I'm doing right now doesn't work (currently using a cream). I am fairly interested and positive about Acne.org's regimen.